Whereby previous examples of interference in public interest activity in AJK by Pakistan's clandestine agencies occurred near the LOC (viz. Baghsar in District Bhimber - August 2011 and Leepa in District Hattian Bala - July 2015): on the 29th of March this year (2016), whilst conducting the national 'public opinion' survey in Tehsil Dheerkot - District Bagh I was approached by two plain-clothed gentlemen in Chamyati, who described themselves as part of the investigative unit at Dheerkot Police Station. They explained that they had received a complaint from 'some members of the public' that I was conducting a survey and collecting public data. That they (the police) wanted to learn more about what I was doing etc. Though I instantly realised that Pakistan's clandestine agencies had put them up for a new 'task', I agreed to accompany them to Assistant Commissioner Gilani's office in Dheerkot. After prolonged discussion and despite showing him District Session Judge Hattian Bala's decision in my favour, the Assistant Commissioner indicated that orders had indeed 'come from above' and that he was unable to address the matter otherwise given his limited 'jurisdiction'. Pakistan's 'National Action Plan' was merely a euphemism for his despair. Hence, after consulting some senior co-citizens I decided to file a writ petition in the High Court of AJK at Muzaffarabad (filed on the 6th of April). Though Pakistan's clandestine agencies may still interfere in my work even if the High Court also rules in my favour: from an academic point of view, obtaining references in relation to my work via the judicial system of AJK is important in public interest. How I wish I could make these agents and their institution/s accountable in an AJK court! The fact that they are not answerable for their actions in AJK despite controlling our administration, is an indication of how vulnerable, undemocratic and whimsical governance in AJK actually is. Meanwhile, the respondents named in the writ have yet to respond as of the 14th of April. The judge has adjourned the matter till the 2nd of June and provided ad-interim relief, enabling me to continue my research work. I should also add that I've returned to Tehsil Dheerkot on a couple of occasions since filing the writ and continued conducting the national 'public opinion' survey, without any further visible interference. 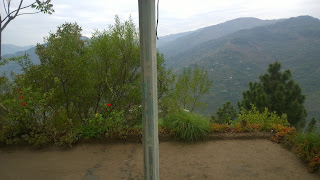 Tanveer Ahmed S/o Khan Muhammad Rafique Resident of Keri Gurutta P/o Hajiabad Tehsil Sehnsa District Kotli AJK. 1) The Azad Government of the State of Jammu and Kashmir through its Chief Secretary, having his office at new Secretariat Muzaffarabad. 2) The Prime Minister of AJK, through Private Secretary, having his office at new Secretariat Muzaffarabad. 3) The Chief Secretary Azad Govt. of the State of Jammu and Kashmir, having his office at new Secretariat Muzaffarabad. 4) The Inspector General of Police, Azad Govt. of the State of Jammu and Kashmir, having his office at New Secretariat Muzaffarabad. 5) Minister of Law Azad Govt. of the State of Jammu and Kashmir, having his office at new Secretariat Muzaffarabad. 6) Divisional Commissioner Poonch Rawalakot Azad Jammu and Kashmir. 7) Deputy Commissioner Bagh Azad Jammu and Kashmir. 8) Assistant Commissioner Dheerkot District Bagh Azad Jammu and Kashmir. 9) Station House Officer Dheerkot District Bagh Azad Jammu and Kashmir. 1. That the petitioner is a first class state subject, independent researcher and civil society activist operating under the self-initiated conceptual ideas of Kashmir - One Secretariat and Civil Society Forum - AJK. His professional background has been in international journalism covering conflict zones and as a British parliamentary correspondent. Copies of the state subject and domicile certificates and copy of experience report as a journalist are attached as Anenxure “PA”, “PA/1”. 2. That the petitioner has conducted independent research on British India, Indo-Pak relations and the Kashmir Conflict un-interrupted in the region since April 2005. 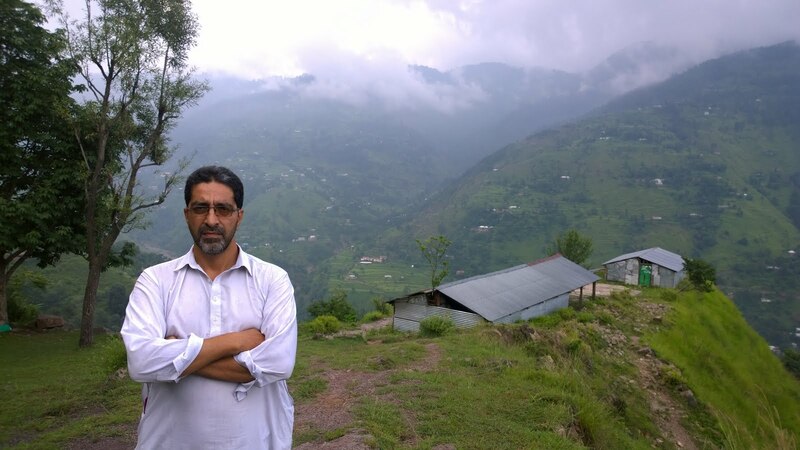 Specifically since July 2011, he has been randomly conducting a 10-question survey related to public policy throughout the 32 subdivisions of AJK. The aim of this exercise is to create a representative sample of public opinion in AJK, which can then assist in developing a possible consensus amongst all stakeholders (citizens of AJK), towards addressing the constitutional ambiguity of the territory. A copy of the questionnaire is attached as Anenxure “PB”. 3. That on the 11th of July 2015, Leepa Police Station filed a FIR against the petitioner and arrested him. Soon after, a Challan was submitted before the Session Court in Hattian Bala. The honourable session court vide order dated 18/03/2016, acquitted the petitioner from all the charges leveled against him. A copy of the FIR and the order dated 18/03/2016 are attached as Annexure “PC”, “PC/1”. 4. That after acquittal, the petitioner resumed his research work and survey in the remaining subdivisions of AJK, to complete the target sample. It was specifically in subdivision Dheerkot and 11 days on from the court order on the 29th of March 2016, when Assistant Commissioner Dheerkot and Station House Officer Dheerkot obstructed the petitioner from carrying out his work, without any justification or cogent reason. The petitioner despite requesting a written order to clarify the restrictions imposed on him, was not provided with such by either the Assistant Commissioner or the Station House Officer. An affidavit in support of para is attached. a) That it is incumbent on the state functionaries to protect the fundamental rights of the state subjects and which can only be provided through good governance, fair play and without discrimination between the state subjects. But the case in hand, has not only violated the fundamental right of the petitioner to creatively seek a solution to our collective public dilemma (The non resolution of the Kashmir Conflict), that most of our citizens have not the time or resources to comprehensively engage with, but this discrimination has now occurred on several occasions with increasing frequency and is against all recognised civilisational norms, codified in various international charters, treaties and agreements. b) That the citizens of the state of Azad Jammu and Kashmir are ‘assumed’ as being not only the subject of the Pakistan government which governs under the Interim Act of 1974 but also the subject of the UN under the resolutions of the United Nations Security Council under chapter 6 of the UN Charter, whereby the State of Jammu & Kashmir (of which AJK is a constituent part) has been addressed as a territorial dispute and whereby disputes should entail a pacific settlement by voluntarily following recommendations proposed (and not under chapter 7 whereby recommendations are binding and physical force may ensue on non-compliance). Thus, the state functionaries must not only protect the fundamental rights of the citizens of the state of AJK but that both India and Pakistan as signatories of subsequent resolutions, ensures that they cannot suspend or abrogate the fundamental rights of any citizens of the former princely state of Jammu & Kashmir. c) That under Act 1974, the fundamental rights of every citizen is guaranteed. The petitioner is acting in an academic manner, trying to give a ground-researched perspective on the Kashmir Conflict and has no political ambitions, except to contribute as an affected citizen, stakeholder and co-inheritor in resolving our ambiguous status. d) That the very purpose of Act 1974 is only to intermediately provide better administration to the people residing in the liberated territories of Jammu & Kashmir, as ‘assumed’ by the international community, to safeguard the fundamental rights of state subjects as guaranteed under the UN Charter and subsequently recognised by UN resolutions on the Kashmir/India-Pakistan Question. In this regard, the respondents have no right to impose restrictions on the free movement of the petitioner as well as impose restrictions on freedom of speech and assembly. The Act of the respondents is ultra vires to the constitution and the laws enforced on the subject are liable to be struck down. e) That all other grounds maybe argued at the time of argument, with the kind permission of the honourable court. 6. That the petitioner is an aggrieved person, who has no alternative and efficacious remedy except to invoke the extra-ordinary jurisdiction of this honourable court. 7. That no other writ has been filed by the petitioner of the same nature or otherwise before this honourable court. i) That act of the respondents through which the restricted the petitioner from doing their research work within the state territory (AJK) may kindly be declared illegal, void, based on discrimination between state subject without lawful authority, in violation of fundamental rights of the petitioner and ultra vires to Interim Constitution Act 1974 may kindly be struck down. ii) That respondents may kindly be directed to act in accordance with law and rules. iii) Any other relief with this Hon’ble Court deems fit may also be granted to meet the ends of justice. It is verified that the contents of Writ petition from Para No.1 to 12 along with prayer clause are true and correct to the best of my knowledge and belief.